How Safe is Resolve? | Syringa Inc. The question often arises as to who can use wild yam cream safely? Remember that we are not dealing with a drug. Wild yam is a nutritional source of phytoprogesterone chemistry and is safe for women of all ages. Certainly women in their menstrual years, as well as menopausal women, can use wild yam cream safely. However, it should be mentioned that many younger girls who are not yet menstruating can still experience the symptoms of PMS. Their bodies are preparing to enter the menstrual years and can suffer the same deficiencies as older women. Many mothers have discovered they can save their daughters from moodiness and cramping by letting them use their Resolve or Balance. Young women usually don’t need the same daily regimen that older women do, rather they might treat symptoms. It is a pretty safe bet that if a young woman suffers the symptoms of PMS prior to actually menstruating, she is heading for worsening effects of hormonal imbalance as she grows older. 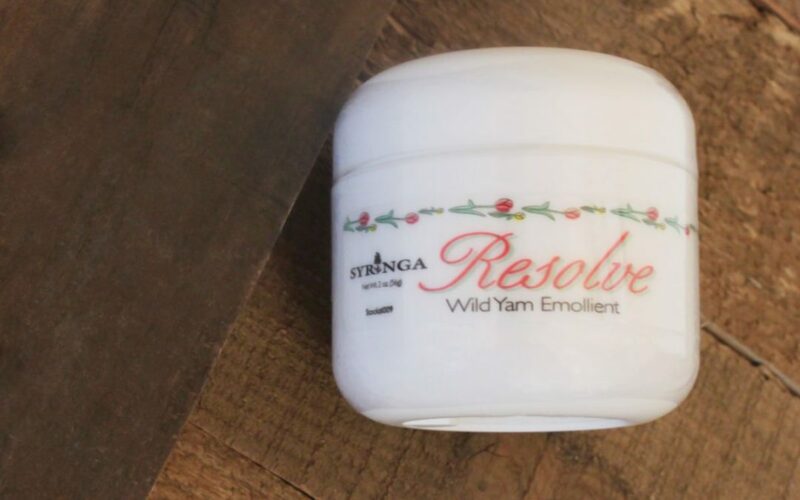 Syringa does not recommend the use of Resolve for men. Men do not create or utilize progesterone in the same way as women. If a man feels he may suffer from a progesterone deficiency he should consult his doctor for advice. Syringa has a product for men designed to help relieve an enlarged prostate. This product, called Pro-Gain, contains a small amount of wild yam extract to ensure that a man has a little hormonal chemistry, but its doubtful that it would address any symptoms of hormonal imbalance, it just helps the plant nutrients and beta-sterols in the Pro-Gain work more efficiently to address the symptoms of BPH.